Back on September 23rd of last year, Selena Gomez announced she was going to spend some time off of social media, and she did just that! Following treatment for mental health, Selena’s been spending time having fun with friends. Now, four months later, she’s back on Instagram! Yesterday she surprised us with he following post! It’s been awhile since you have heard from me, but I wanted to wish everyone a happy new year and to thank you for your love and support. Last year was definitely a year of self-reflection, challenges and growth. It’s always those challenges which show you who you are and what you are capable of overcoming. Trust me, it’s not easy, but I am proud of the person I am becoming and look forward to the year ahead. Love you all. CASA 5K Superhero Run/Walk Taylor Swift – ME! (feat. Brendon Urie of Panic! 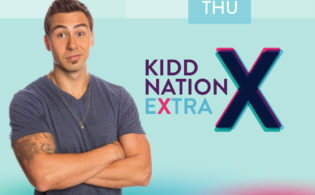 At The Disco) KiddNation Extra 04.25.19 I Gotta First World Problem! The Singular Form Of Spaghetti Why Is Jenna Mad At Her Mom? I Gotta First World Problem! Why Is Jenna Mad At Her Mom?